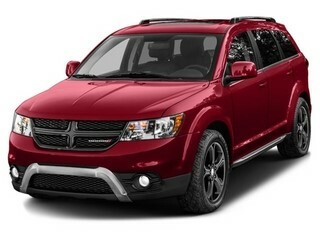 The 2016 Dodge Journey from Las Cruces, NM is a spacious 7-seater that bridges the gap between a minivan and an SUV. Value and versatility are the hallmarks of this model’s success. It blends the utility of the minivan with SUV brawn, resulting to a perfect family vehicle or a personal daily hauler. There may be lot of years under the Dodge Journey’s belt, but it doesn’t fall behind on performance, comfort, and innovation. If you’re in the market for a capable crossover SUV, the 2016 Dodge Journey is a solid pick. Outside, it’s a combination of sport-utility athleticism with station wagon length. With the 192.4-inch length, it’s longer than many of its competition. Exterior treatments like aluminum-alloy wheel selections and a chrome-trimmed cross hair grille give the 2016 Dodge Journey near Las Cruces, NM a distinct personality. Posted on March 19, 2016 by CedrickPosted in BusinessTagged 2016, dealer, dodge, journey, serving.